Yorkshire has many locally produced gins and the launch of a new range of tonics means that gin lovers can enjoy a proper Yorkshire G&T. This month we’ve been busy helping Raisthorpe Manor Fine Foods launch its new range of premium Yorkshire Tonics with a campaign targeting trade and consumer media. The Yorkshire Tonics are the latest innovation from Raisthorpe as it celebrates its 10th anniversary this year. The tonics – six in total – are being made at Raisthorpe’s farm on the Yorkshire Wolds by blending local water with a range of citrus and fruity botanicals. The mixers are strawberry and pomegranate, pink grapefruit,citrus apple and elderflower, skinny and premium tonics. All six tonics are hand crafted to perfectly complement Raisthorpe’s extensive range of botanical gins and vodkas as well as its traditional dry gin. The tonics can also be enjoyed chilled on their own over ice as an alternative non-alcoholic carbonated drink. 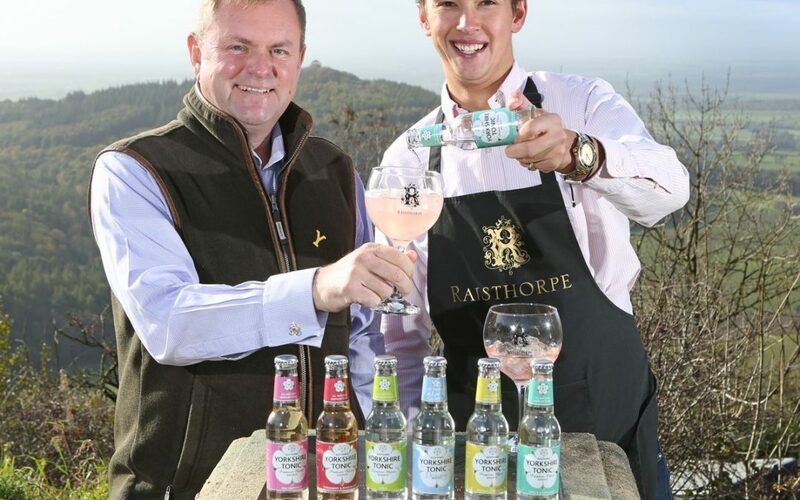 Raisthorpe’s sales and operations director Oliver Medforth said: “The modern G & T is a cocktail of flavours and our new aromatic tonics elevate the natural qualities of the gin without overpowering them. Sir Gary Verity, Chief Executive of Welcome to Yorkshire said: “Yorkshire has been at the forefront of the recent gin boom, and now makes some of the best varieties in the world. It’s great that Raisthorpe Manor is now producing these tonics so we can now have a Yorkshire G and T.
Raisthorpe’s Yorkshire tonics come in 200 ml bottles proudly emblazoned with the White Rose of Yorkshire and RRP is £1.50 each. The tonics are available from delis, farmshops and independent retailers or online from www.raisthorpemanor.com. The new tonics follow Raisthorpe’s success at the Great Taste Awards 2018 where it won five coveted awards and the launch of its ‘tipsy drink cards’ – a collection of greetings cards containing miniatures of its tipples – and new Stackers collection for bespoke gin, port and vodka gifts.